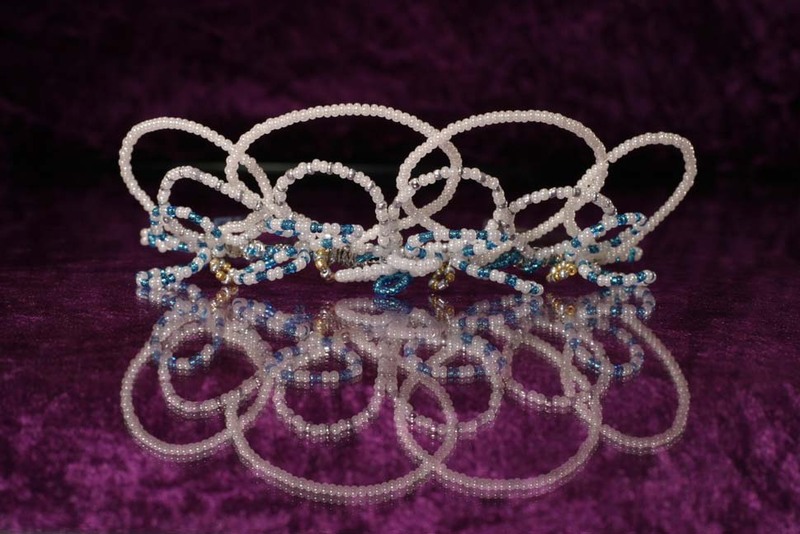 ‘ May’ A beautiful bespoke tiara based on a Royal Victorian design. 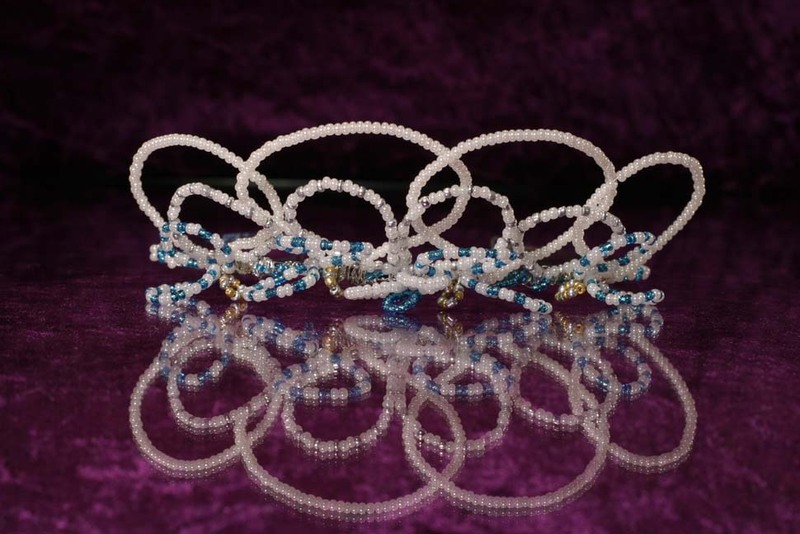 A pearl bead tiara with blue and pearl bead butterflies. Excellent choice for bridesmaids, prom or childs pageant.